The unit just touches the wall, requiring no screws. The more weight it bears the harder it leans. 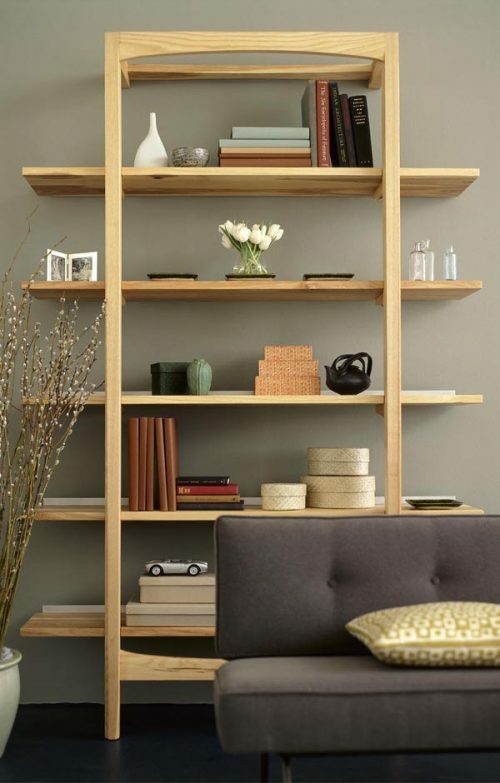 The shelves are adjustable up and down, and the units can be combined creating infinitely long shelving runs. Works well over baseboard moldings or heaters.